The composition of the soil surrounding your home plays a critical role in upholding the integrity of your property’s foundation. This is where a retaining wall comes in handy; it’s designed to maintain the stability of the earth by separating different areas of elevation while resisting soil movement. In essence, a retaining wall allows you to enjoy nature’s uneven terrain. It affords you the luxury of carving out a functional outdoor space in a place where there once existed precarious slopes. Apart from solving earth-related problems, retaining walls also boast multiple sculptural qualities that impact an above definition to the landscape. Retaining walls come in a wide range of materials that inherently evoke variant styles. For instance, you may go for mortared stone or stacked timber if you’re looking to evoke a rustic style or poured concrete to impart a sleekly modern appearance. It is, however, imperative to ensure that your retaining wall is correctly installed especially if you’re looking to have it hold back loads of soil. The longevity of the structure will largely depend on appropriate drainage to prevent water from accumulating behind the wall and the footing that’s buried in the ground. The batter, which denotes the backward inclination into the soil. This is approximately one inch for each foot of the wall height. The weep hole, which facilitates water drainage through the wall base. It ought to be spaced every six to eight feet. The cost of erecting a retaining wall is dependent on your prospective material. For instance, poured concrete will cost you about $4.30 per square foot while interlocking concrete block, stone, and pressure treated pine will cost you $5.65, $11 and $6.15 respectively. These rates do not include the cost of supplies such as filter fabric and drainage stone, neither do they cover installation costs. A correctly erected retaining wall has an unlimited lifespan, which is particularly true for concrete and masonry walls. Conversely, a timber wall can potentially last for up to forty years. 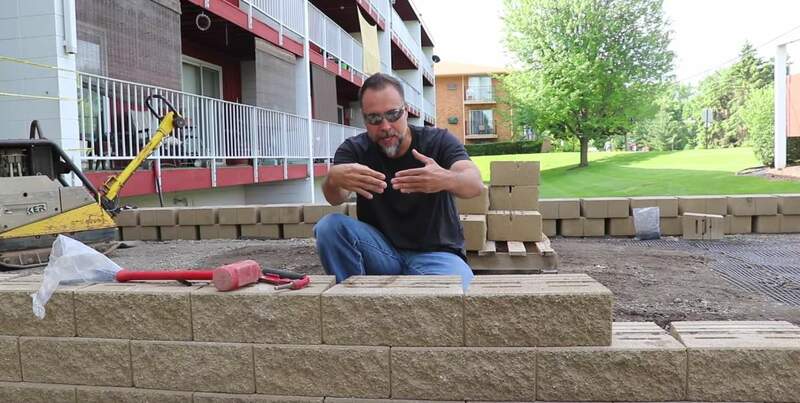 When installing retaining walls, most people battle with the question of whether to employ DIY methods or hire a professional. 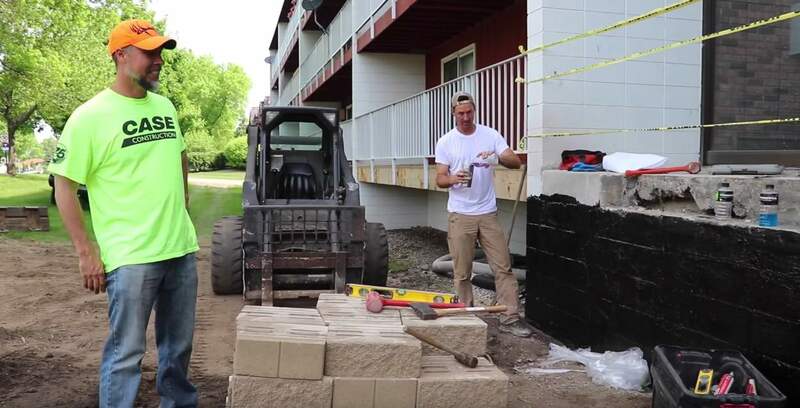 Although interlocking concrete-block and timber walls are excellent DIY retaining wall projects, it’s imperative to engage a competent mason when erecting poured concrete and mortared masonry structures. Besides, you need to comply with a legal mandate that requires walls that are taller than four feet to be constructed by a professional following the design of an engineer. For proper maintenance of the retaining wall, you are only required to clear the weep holes occasionally.